SIA Mourns the Loss of Long Time Member Dominic Rizzuti Sr.
Long time SIA member Dominic Natale Rizzuti, Sr. 90, passed away March 24, 2011. Dominic was born December 22, 1920, in Terravechia, Italy. He was the son of Luigi and Catherine Rizzuti. He immigrated to the United States in 1937. He graduated from St. Anthony’s grade school. June 1, 1952, he married the love of his life, Kay DeCarlo, and from their union 6 beautiful children were born. In April of 1951, Dominic opened the doors of Artistic Ornamental Iron Works. Dominic and his brother Sam worked together for many years, providing handmade rails for Des Moines and surrounding area residents. In 1996 Dominic & Sam proudly represented the state of Iowa in Washington D.C. at the Smithsonian’s Sesquicentennial Conference as well as Iowa’s Folklife Conference displaying their craft. This was a highlight for Dominic, known by his business colleagues and friends as the “Iron Man”. He retired in 2008, and the business today is proudly owned by his 3 sons. Dominic is survived by his wife, Kay of 58 years. His children, Kathryn (Dave) Gimer, of Iowa Falls, Loretta Rizzuti of Des Moines, Louis (Jackie) of Norwalk, Dominic Jr. of Des Moines, Rocco (Melissa) of Panora and Regina(Keith) Honke of Atlantic, Ia. 16 grandchildren and 6 great-grandchildren. His brother, Sam (June) Rizzuti of Des Moines. Nieces Linda (Mark) Hagen of Napierville, IL, Pam (Jeff) Baker of West Des Moines, Lisa (Robert) Eads of Richardson, TX and nephew Sam Rizzuti of Urbandale. Dominic truly enjoyed his family, friends and work. He was devoted to the success of everyone and everything that entered his life. He loved having family dinners, picnics, watching his grandchildren during their dance recitals, and their many sports activities. 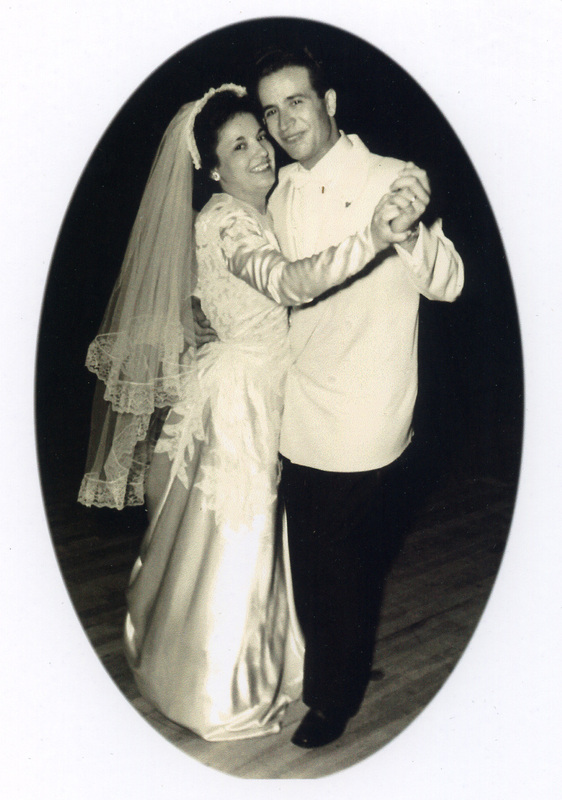 Dominic loved to dance with his wife. Kay remembers just this morning that it was like dancing in a dream. Dominic loved traveling, which included cruises, trips to Italy and family vacations. Dominic was a proud member of St. Anthony Catholic Church and the Society of Italian Americans which allowed Dominic to be active throughout his Italian-American community and hold his heritage close to his heart. Dominic told many stories of his years in Italy as a young boy and about immigrating to America. He was very proud of the obstacles that the Italian immigrants overcame while carving their American Dream: a family that loved and adored him, a business that defined him, and friends that respected him. When Dominic spoke, you could not help but listen to his strong proud American voice with its charismatic Italian accent. A funeral mass will be held 10:30 a.m. Monday, March 28, 2011, at St. Anthony Catholic Church, with burial following at Glendale Cemetery. A visitation will be Sunday from 2 to 8 p.m., with a rosary at 6 p.m. at Hamilton’s Southtown Funeral Home, 5400 SW 9th Street, Des Moines. In lieu of flowers, contributions can be made to St. Anthony Catholic Church or Ramsey Village. 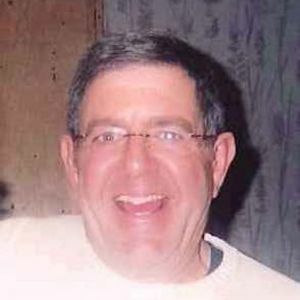 SIA member Richard J. Barsetti, 60, unexpectedly passed away on Saturday, January 15, 2011. He was born August 26, 1950 in Des Moines, to Lawrence and Daisy Barsetti. Richard graduated from Dowling Catholic High School and later went on to follow the family tradition as a cement mason. He was currently employed at Speck USA, and had previously worked for Weitz, Taylor Ball, and Design Builders. Richard married the love of his life Mari Lynn Anderson of State Center, Iowa on March 22, 1980. He was well known for his sense of humor, his contagious giggle, and his deep love for his family, friends and God. Richard was also a member of Operating Plasterers and Cement Masons Local 21. Richard is survived by his wife of 30 years, Mari Lynn; daughter, Rikki Lynn of Des Moines; his son, John and Becca Barsetti and grandson, Bryce and soon to be Baby Barsetti of Geilenkirchen, Germany; sisters: Marilyn Agey, Joann Smith, Judy Swartzbaugh, and Mary Jo (Dave) Barsetti Nerland; sister-in-law, Susanna Barsetti; brother-in-law, George Malsam; his twin brother, Robert (Kathy) Barsetti; brothers: Joe (Rita), David (Joy), and Pete (Linda) Mazza; honorary sister, Sandy Patterson; honorary brother, Scott Stacy; as well as a host of beloved nieces, nephews, family and friends. Richard was preceded in death by his parents; brother, Larry; and sister, Carolyn Malsam. Our club expresses our sincere condolences to the Barsetti family. 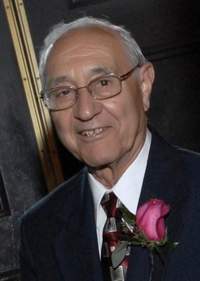 Longtime Society of Italian Americans member Joe Tursi passed away on February 17, 2010. Joe was a former president of the Stemma D’Italia and helped found the Society of Italian Americans when the Stemma D’Italia merged with the Club of Italian Americans. Joe, who was born in Terravecchia, Italy, was proud of his Italian heritage and shared his love of Italian culture with fellow club members and non-Italians. Joe will be deeply missed by all of us in the club. The following is taken from Joe’s obituary. 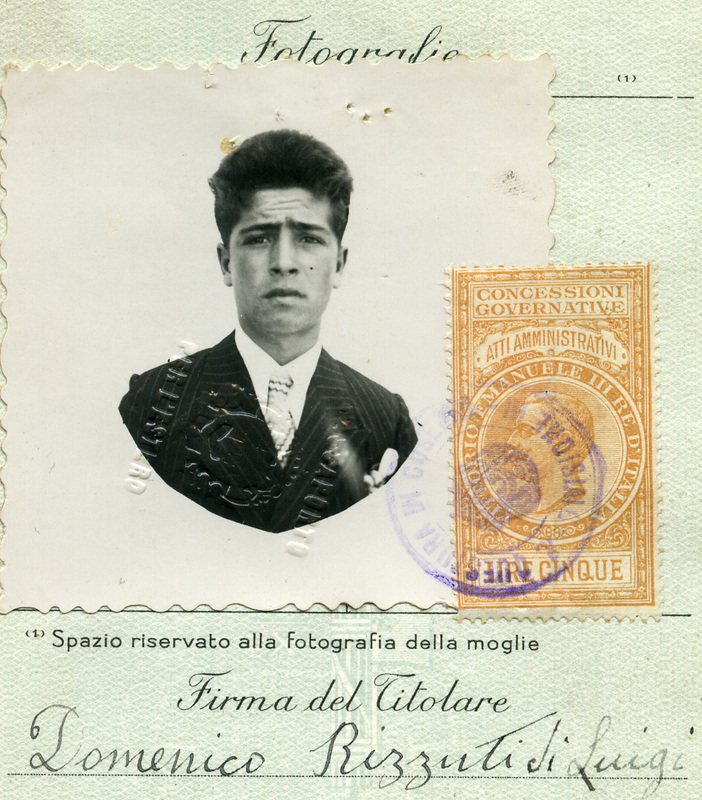 Joseph S. Tursi was born in Terravecchia, Italy on November 8th, 1921 to Francesco and Carmela Tursi. When he was eight years old he immigrated to the United States. In 1937 his father bought Park Ave. Shoe Repair, which Joe operated while attending and graduating from Lincoln High School. In 1942 he hung up his apron and volunteered for the Army Air Corps, in which he served honorably in England during World War II. After returning to the U.S., he married Sarah Fazio on January 8th, 1950 at St. Anthony’s Catholic Church and loved her for more than sixty years. In 1952, with his brother Paul, Joe expanded Park Ave. Shoe Repair into Tursi’s Clothing, which in the mid – 70’s was one of the largest privately owned clothing stores in the Midwest. Joe owned and operated the clothing store for over 40 years. After retiring he stayed active by constantly volunteering and by working with his son at the Latin King Restaurant. He hugged every lady who walked in the door and cleared tables faster than any teen-aged bus boy up until December of 2008. Joe loved interacting with people and had to be on the move. Even in his last days, he refused to use a wheel chair. Joe passed from this life on Wednesday, February 17, 2010 at Mercy Hospice in Johnston at the age of 88. A Mass of Christian Burial was held at 10 a.m. Monday, February 22, at St. Anthony’s Catholic Church where he was a lifelong member. Burial followed at Glendale Cemetery. Visitation was held at Hamilton’s Southtown Funeral Home on Sunday, February 21st from 2-7 pm with the family present from 2-4 pm and from 5:30-7 pm. A Bellizzi MacRae American Legion service took place at 5:30pm, followed by the Society of Italian Americans and a rosary service. His life was guided by a few simple philosophies: Always be a gentleman; never go to sleep mad at the ones you love; family first; and why make one girl miserable when you can make them all happy? The latter was a guiding force only during his earlier years and was preached to his grandsons during rough patches of adolescent relationships. While these philosophies were simple, they led Joe to accomplish many things. Joe is the former President of the Stemma D’Italia; he started the Cub Scouts and Boy Scouts of St. Anthony’s; he belonged to the Build Lincoln Higher Club; he sat on the Board of Brenton Bank and on the Board of Health for the State of Iowa. He helped to found the Society of Italian Americans, was a member of the Knights of Columbus, started the Columbus Day Dinner Celebration, and honored his roots by collecting donations for an annual celebration in his hometown of Terravecchia and it’s parish, San Pietro in Vincoli. He was active in the American Legion, the Fleur Nursing Home, the Isaac Walton League, St. Anthony’s Church, and was always ready to lend a hand to anyone who needed it. If asked, Joe would have said that his greatest pleasure was his family. Left to always honor his memory are his wife, Sarah; his daughter, Carmela (Robert) Hobbins, grandchildren, Brian, Patrick (Jeannie), Teddy, and great granddaughter, Lilly Hobbins; his son Frank (Molly), his grandchildren, Joe, Katie (Chul) Lee, Bridget, Jenna, Anna, and his great granddaughter, Mia Sun Lee; his son, Joe (Joan) and grandchildren, Kristina (Aaron) Anderson, Tony and David; his son, Bob (Amy), and grandchildren, Gina and RJ, brother, Paul (Darlene), and special cousins, Pete, Mary, and Dale Tursi, who were all fortunate enough to have shared in Joe’s life. The lessons he left his family are basic but invaluable: Love one another; love your spouse; help others; and don’t complain. He showed us how in the way he treated us, in his relationship with Sarah, by the countless people he readily assisted, and by responding, “Not bad, not bad,” when asked how he was doing on the day he died. With his quiet confidence and consistently optimistic outlook on life, he was the greatest role model a family could have. He was an inspiration throughout his life and will continue to be in death. Memorial contributions may be given to the St. Anthony’s Church Foundation. Online condolences may be made to www.hamiltonsfuneralhome.com.